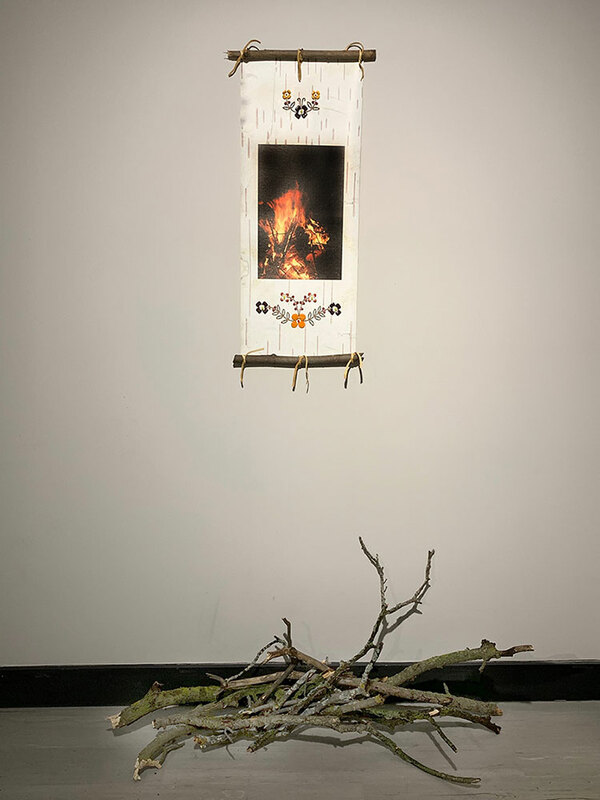 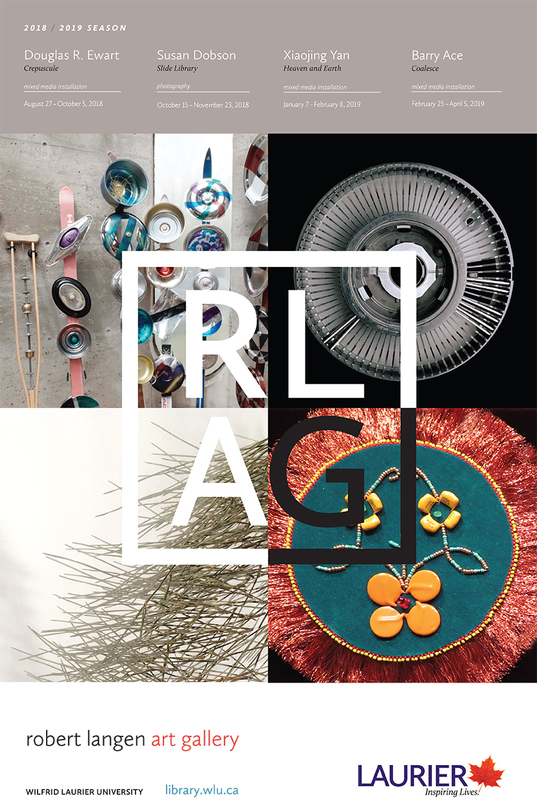 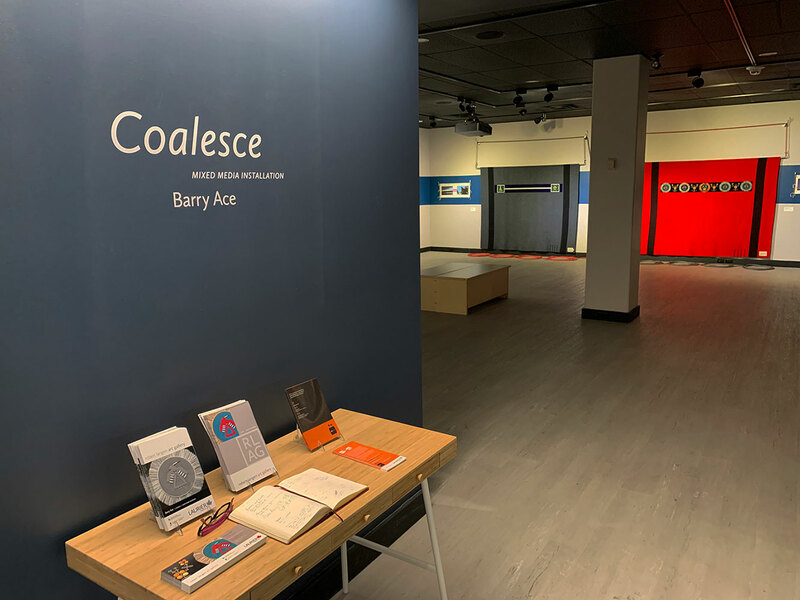 Coalesce is a fusion of distinct Anishinaabeg aesthetics of the Great Lakes’ region with the refuse from western society’s technological and digital age to order to intentionally shift an object’s materiality and its accepted paradigm within the physical world. 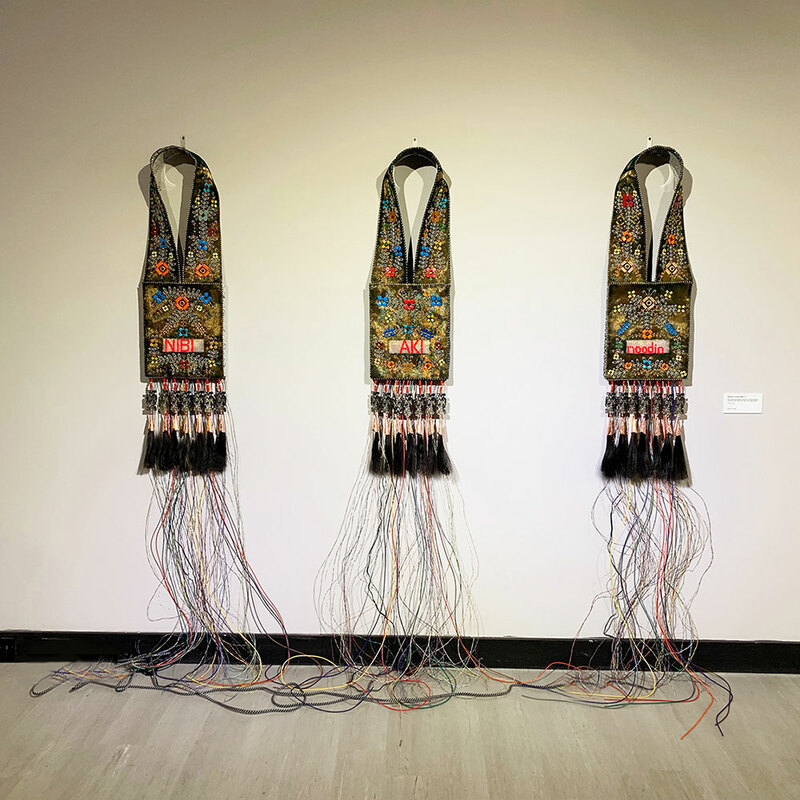 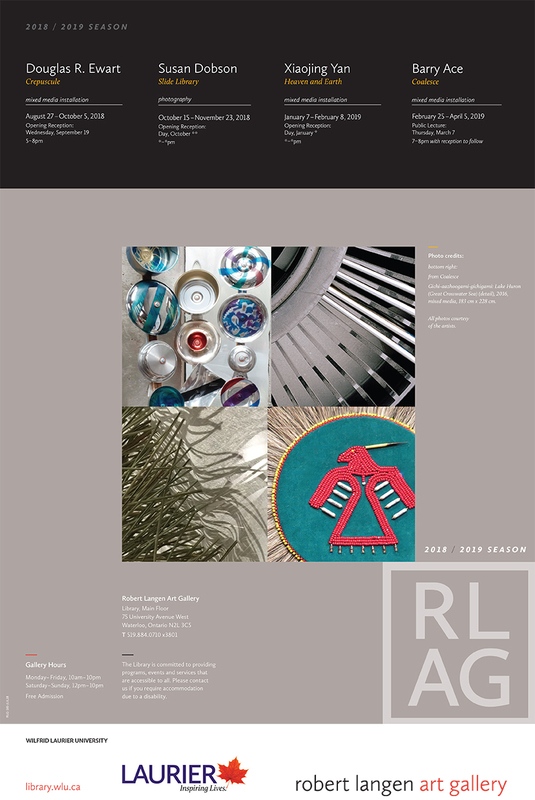 It is through the integration and juxtaposition of recognizable materials used in the making of Anishinaabeg material culture, such as glass beads or porcupine quills, with new found materials, such as electronic components (capacitors and resistors) that this body of work rejects any notion of cultural stasis. 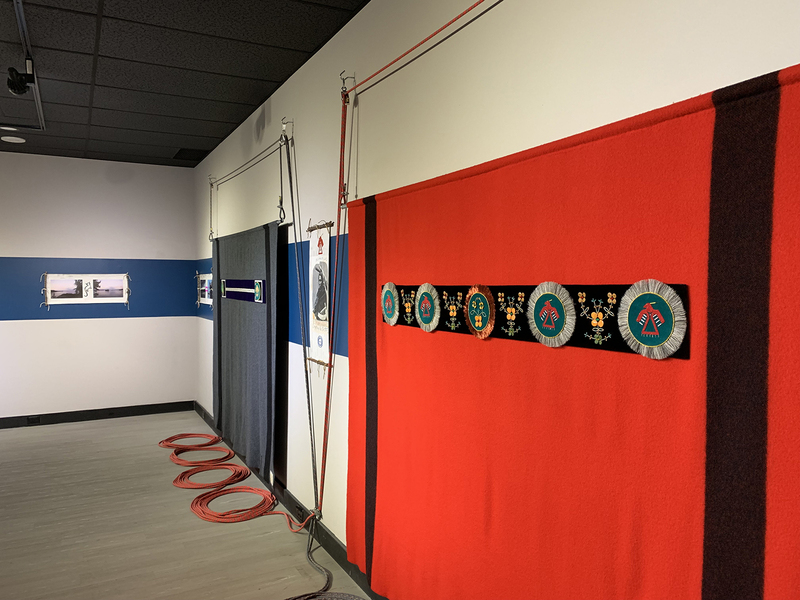 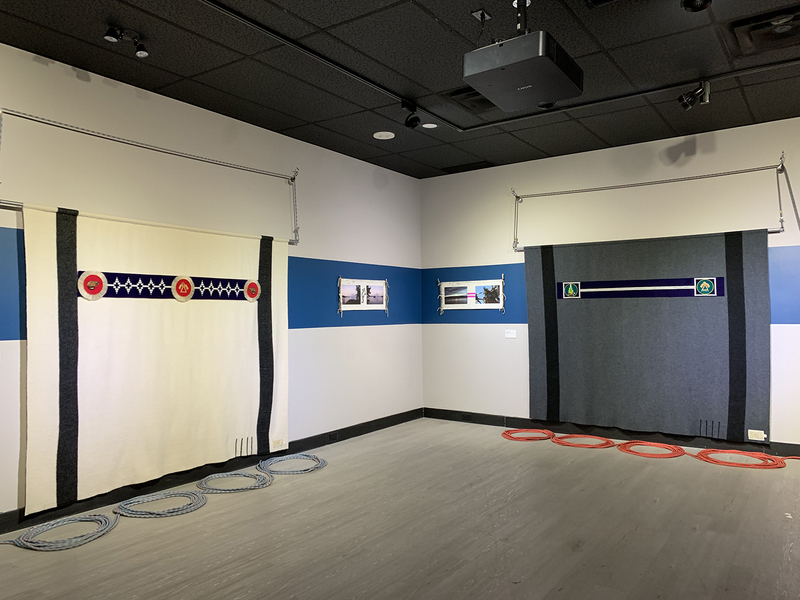 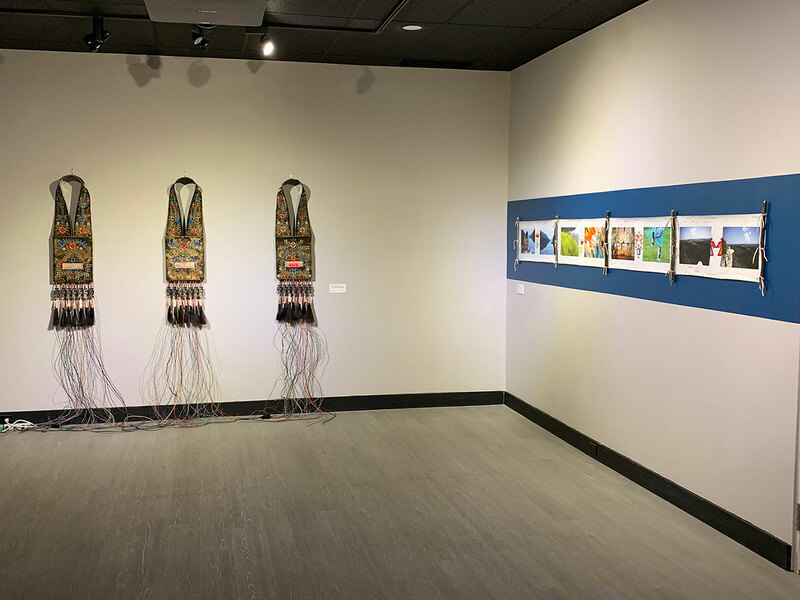 Coalesce demonstrates the continuum of Anishinaabeg innovation and expression by making use of disparate materials that knowingly coalesce and segue seamlessly into contemporary Anishinaabeg artistic tradition and material culture. 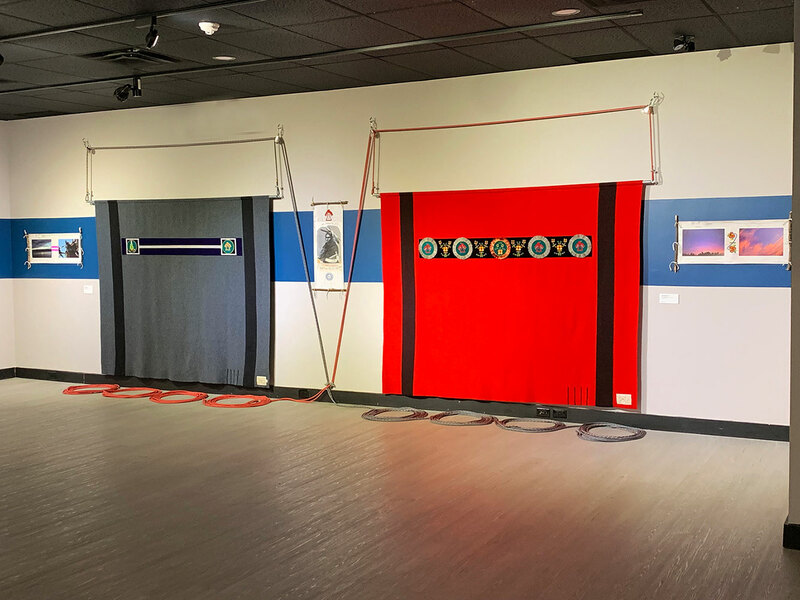 "Coalesce" installation at Robert Langen Gallery, Wilfred Laurier University, Waterloo, Ontario.